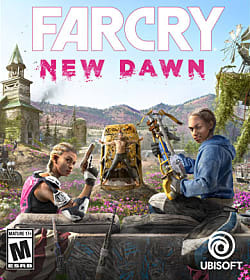 Far Cry New Dawn is an open world first-person shooter developed by Ubisoft Montreal and published by Ubisoft. It is a direct sequel to Far Cry 5, taking players back to Hope County, Montana. The game is set 17 years after a nuclear conflict devastated the planet, and the plot focuses on a group of survivors working to rebuild their community. However, their attempts are jeopardized by the vicious Highwaymen and their leaders, twin sisters Mickey and Lou. While the title is built around Far Cry 5's map, it is not merely a reskin. Players will discover new gameplay mechanics, activities, and locations in their time with Far Cry New Dawn. Circuit Boards are a necessary crafting component for elite weapons and vehicles in Far Cry New Dawn. This guide shows how to get more circuit boards by hunting and taking advantage of expeditions. Carbon fiber is an essential component for crafting Rank 3 and Elite weapons and vehicles in Far Cry New Dawn. This guide shows you where to find more of it. Far Cry New Dawn recycles the same general setting from last year's Far Cry 5, but this time with a post-apocalyptic twist and healthy injection of creative, colorful, and bombastic content. There are more than two dozen safes in Far Cry New Dawn. Each of them contains a bit of titanium that will help you craft mid- to high-level items. This guide shows you where they all are. This guide shows you how to find and solve all 10 of Far Cry New Dawn's treasure hunt stashes, helping solve puzzles to get perk mags, titanium, and Far Cry credits faster. A growing list of retailers and storefronts already taking pre-orders for Far Cry New Dawn. Far Cry: New Dawn's post-apocalyptic trailer premiered at The Game Awards. And you can play the game sooner than you might think. The title and box art for Far Cry 6 may have leaked ahead of tonight's The Game Awards. Something Far Cry is on the horizon, but is Ubisoft teasing the next full installment or a spin-off? Was the Official Name of Far Cry 6, Box Art Revealed in Twitter Leak?